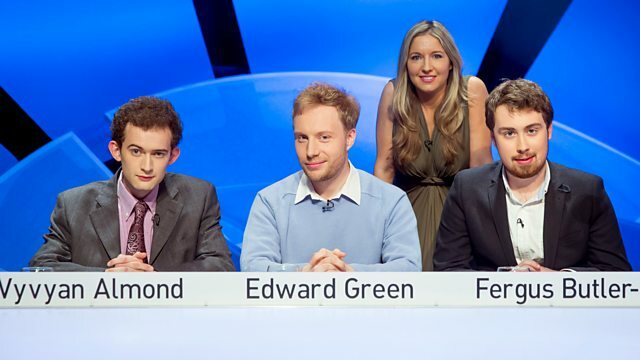 Victoria Coren Mitchell hosts the quiz where, as in life itself, knowledge will only take you so far, as patience and lateral thinking are also vital. Three musicians take on a team of Doctor Who fans. They compete to draw together the connections between things which, at first glance, seem utterly random. So join Victoria Coren Mitchell if you want to know what connects Steve Jobs, Marcus Garvey, Dave Swarbrick and Mark Twain. "Is there much dating through the Doctor Who Forum?"